Adorable, primitive yet also modern look! These espresso cups are full of character. Made in Asheville by Andrea Freeman. Each is different and unique. 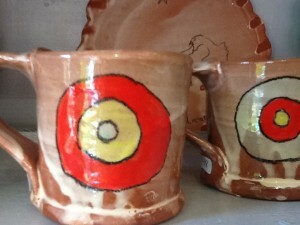 Andrea Freeman makes these graphic bull’s eye espresso cups for those who favor a modern vibe. These cups are just under three inches tall, and would also be convenient for use with a Keurig. Made in Asheville. Adorable garden mugs encourage the coffee or tea drinker to "Grow Wild!" 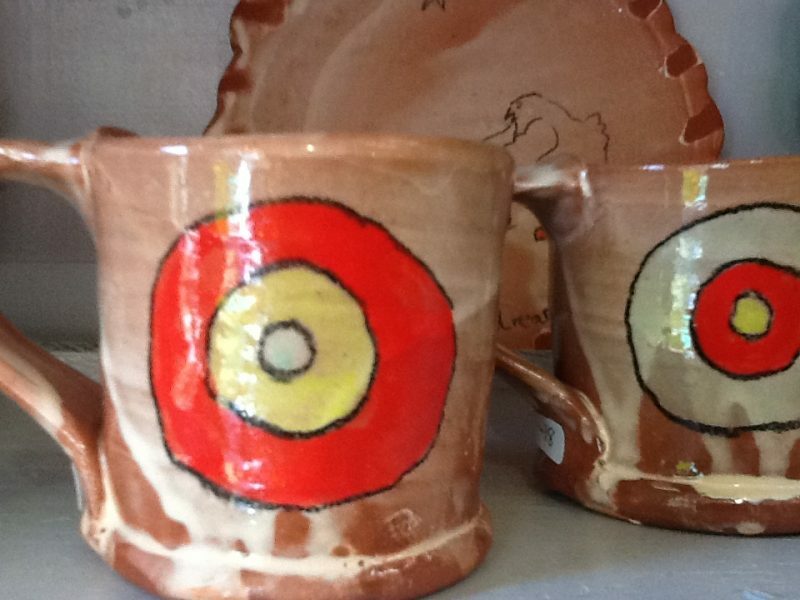 Andrea Freeman wins the prize for the most adorable mugs in Asheville and also the mugs most guaranteed to put you in a good mood! Made by Jim McDowell, these ceramic handle-less mugs warm your hands and your insides.